The Adani group has won five out of the six airports being privatised by the Modi government. On Monday when the financial bids were opened, the Adani group outbid its competitors to win Lucknow, Ahmedabad, Trivandrum, Mangalore and Jaipur. 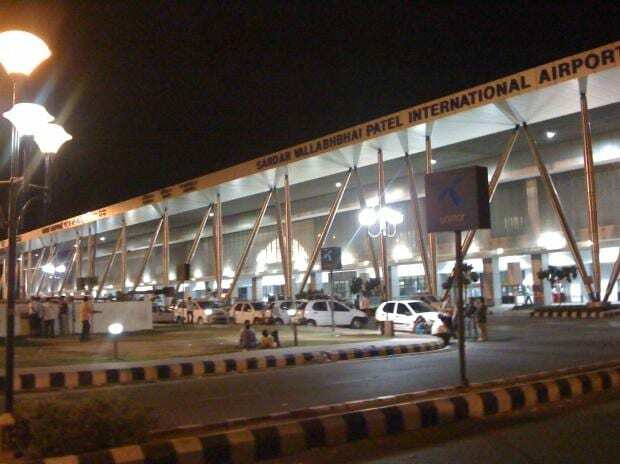 The bids for Guwahati airport haven’t yet been opened due to legal reasons. Adani Enterprises' winning bid could be a potential goldmine not just for the Gautam Adani-led group, but also for Airports Authority of India (AAI), which will be signing a different revenue-sharing agreement for these airports than it has for its other joint ventures at Delhi, Mumbai, Bengaluru, Hyderabad and other cities. Adani Enterprises will be paying a per passenger fee to AAI. This fee will be recovered by Adani group from air passengers using these airports. If growth in passenger traffic over the last few years at these airports is anything to go by, the next 50 years could be a sweet deal for both in the world’s fastest growing aviation market. In 2017-18, more than 25 million domestic and international passengers flew through the five airports won by Adani Enterprises. Passenger traffic has grown 78 per cent at these airports since 2014-15, when the Modi government came to power. In fact, the traffic growth at these five has been higher than at all 20 international airports in India, and greater than that recorded at other joint venture airports like Delhi and Mumbai in which AAI gets a fixed revenue share from operators like GMR and GVK respectively. Among all airports won by Adani Enterprises, Ahmedabad had the largest footfalls with 9.2 million international and domestic passengers flying through it in 2017-18. It recorded a year-on-year growth of 24 per cent. Since 2014-15, passenger footfalls at Ahmedabad alone have grown by over 80 per cent. If Ahmedabad airport continues to display a similar growth trajectory, more than 33 million passengers will annually fly through the city by 2024-25. Reports suggest Adani quoted a fee of Rs 177 per passenger for Ahmedabad. According to the concession agreement that will be signed between Adani Enterprises and AAI, this money will have to paid to AAI. If Ahmedabad continues to grow the way it has, this will mean revenue of Rs 530 crore for AAI from Ahmedabad alone by 2024-25. That’s almost a fifth of AAI’s rental income from airports like Delhi and Mumbai at the moment. Adani quoted the highest per passenger fee for Ahmedabad. Reports suggest the second highest bid was for Jaipur (Rs 171 per passenger) followed by Lucknow, Thiruvananthapuram and Mangalore. There has been a similar growth in passenger traffic at these airports. Since 2014-15, airport traffic has surged more than 70 per cent at Mangalore and Lucknow. Thiruvananthapuram’s passenger traffic has grown by a third while Jaipur’s passenger footfalls have more than doubled since the Modi government came to power. The growth of passengers at these airports was considerably more than India's busiest airports like Delhi and Mumbai. Passenger traffic at Delhi and Mumbai increased 14 per cent and seven per cent respectively in 2017-18. If such growth continues, it isn't just Adani but also AAI who could be laughing all the way to the bank.